In celebration of Christmas Day, here is a list of significant events occurring on December 25th. Year 1989- The weather is cold in the winter months for most places. Japanese scientists decided they wanted to see how far they could force the temperature in the negatives. They hit a record -271.8 degrees Celsius. Personally, I’m building a fire in the fire-place at 0 degrees Celsius. 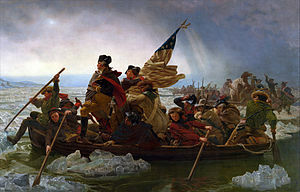 Year 1776-On another cold day, General George Washington and his military force crossed the Delaware River so they could attack a Hessian mercenary unit at Trenton, NJ. Washington attacked the unaware Hessians successfully and began the long road toward victory and independence. 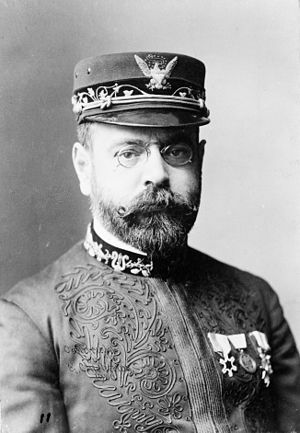 Year 1896-John Philip Sousa writes “Stars and Stripes Forever.” for every marching band in the country. Year 1855-The first outdoor hockey game is played using field hockey sticks and lacrosse balls. Royal Canadian Rifle unit soldiers started the game when clearing ice and snow from Lake Ontario. Later, the game evolved into what we know today with the first indoor hockey game played on March 3, 1875 at Montreal, Canada. Year 1818-The Christmas Hymn “Silent Night,” by Franz Joseph Gruber and Joseph Mohr is sung for the first time. Year 336 or 337-Most sources state 336 but some have 337 as the first recorded celebration of Christmas in Rome. 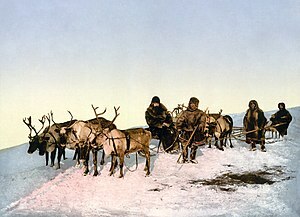 Year 1939-The retail store Montgomery Ward introduces the ninth reindeer, Rudolph the Red Nose Reindeer. Born on December 25th– Believe or not, Robert L. Ripley, from Ripley’s Believe or Not fame, was born on this day. Also actor Humphrey Bogart, football players Larry Csonka, Kenny Stabler, and actress Sissy Spacek.